1) Point Cloud Library (PCL) data repositories. INFO: PCL is an open source project for 2D/3D image and point cloud processing. In the Community Data Repository section at the above link you can find open datasets with point cloud data divided into 8 categories. INFO: ROS (Robot Operating System) is coming to the cloud. The new service is a development environment that seems to support ROS Kinetic and the set of tools ROS developers are used to (e.g. Gazebo simulator, Rviz). 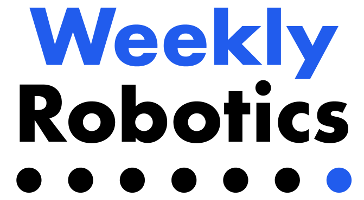 According to the linked article RoboMaker also provides robot fleet management capabilities and over the air updates. INFO: A team at MIT is working on microhydraulic actuators that utilize electrowetting to achieve the motion. Via the article: Electrowetting applies an electrical voltage to water droplets on a solid surface to distort the surface tension of the liquid. The actuators take advantage of this distortion to force water droplets inside of the actuator to move, and with them, the entire actuator. 4) How To Do Real Time Object Detection On Drone Video Streams. INFO: The above link by Nanonets is a step-by-step tutorial on how to run an object detection on a live video stream using Tensorflow. 5) How to land on Mars. INFO: InSight has landed last week! The above NYT article covers the stages of Mars landing in an easy to follow way. The included timeline helps put the mission in perspective. INFO: Amazon is to start selling a 1/18th R/C cars built for machine learning. Under the hood the car is said to have an Intel Atom Processor with 4GB of ram and running Ubuntu 16.04. The onboard sensors include a 4MP camera and integrated accelerometer + gyroscope. As part of the project a 3D racing will be available and the developers will be able to participate in a global racing league. The car is said to cost 399 USD but right now it can be preordered for 249 USD. 7) Publication of the week - Comparison of ROS-based Visual SLAM methods in homogeneous indoor environment (2017). INFO: This paper analyses various methods for SLAM (Simultaneous Localization and Mapping) in a controlled environment. The paper covers LiDAR based SLAM (Hector Slam package) used as a ground reference, Monocular SLAM (ORB-SLAM, DPPTAM), Stereo camera SLAM (ZED Camera), RGB-D SLAM (Kinect with RTAB-Map). 1) Automata (London, UK) - Various Positions. INFO: Automata’s mission is to make robotics automation affordable and simple. 2) ABB (Windsor, CT , US) - Senior Embedded Systems Engineer. INFO: ABB is seeking a Senior Embedded Systems Engineer for a position in a new group focusing on autonomous vehicles and mobile robotics.